I am getting back to my fashion loving roots. Some of my very first vidoes were t-shirt cutting tutorials and DIY accessories and I miss them! 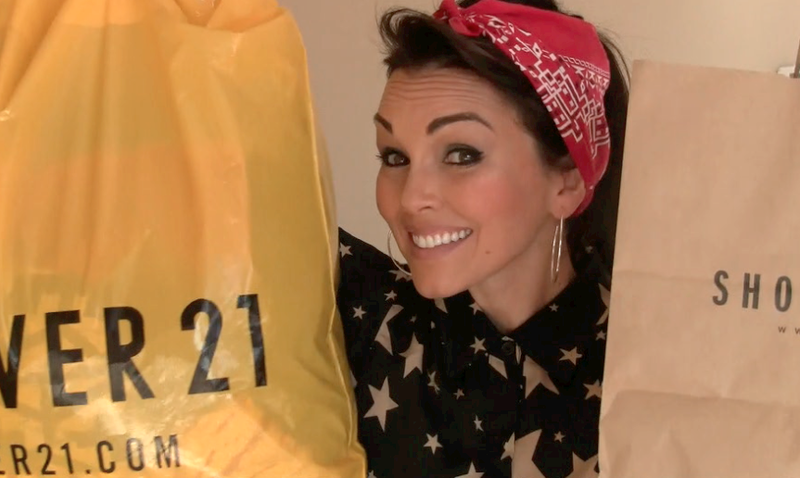 So here's is what I "hauled" home from my recent trip to FOREVER 21, TJ Maxx, Zara and one of my fav re-sale shops! Which included this, "super star" shirt that I got at TJ Maxx (which is the same as Marshall's too)! I've been in love with star things long before, Dolce & Gabbana made it a runway trend- and I'm not sure how much their designs are- but this one was only $14.99! Which makes it a true "star" in my closet! hee hee And you'll see the star earrings and scarf I got too! 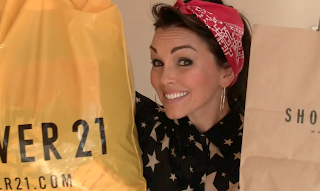 Let me know if you guys would like to see more FASHION & ACCESSORY "hauls"- yes I tried to get teh "shop and tell" thing to catch on....but we'll see! 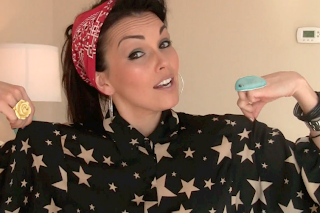 And comment below if you want me to start doing more "fashion tutorials" and fun accessory things like I used to! Fashion is like freedom...you can do whatever you want with it! It's the boring people who are scared to dress differently that make fun of those with the confidence, style and creativity to dress like individuals. That is true style. Style is not just wearing what the masses wear! Think different. Dress different. And don't give in to the pressure to dress like everyone else. Love your makeup tutorials but def would be interested in clothing or diy clothing tutorials. 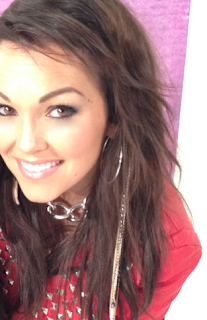 Oh kandee I love you and your videos so much. You have tought me a lot and inspired me to be myself! You are an amazing person, when I'm having a bad day I always watch your videos even if I've seen them 50 times, I wish I could be as great and creative as you. You do awesome things and turn little "boring" things into awesome things. I can't express how much your amazing haha. I love makeup, always have and I've gone to makeup classes and I wish they would show things that you do! Thanks for the videos and up lifting sayings. More fashion yes please. Love love. What is the resale store you go to? I've been looking for one in my area. Craft or jewelry please !!!! Can u do a video to show how u did that w the bandana and how u wrap ur scarf pretty cupcake please? Im in love w stars as well I have them all over my house! I love ur blog! I love your old videos on cutting the jeans and shirts! so much fun. i can't tell u how frustrated my mom gets with me for cutting up my clothes but its just so much fun to take something u prolly never were going to wear again and turn it into something u love to wear all the time! :) i love you kandee! Hey girl love love the video!! I think you should do something on re vamping or restyling our current wardrobe. I'm constantly trying to find new looks from what I already have. ( trying to save$$$).